The appointment was approved by a unanimous vote in the Supreme Court Courtroom, 350 McAllister Street in San Francisco. 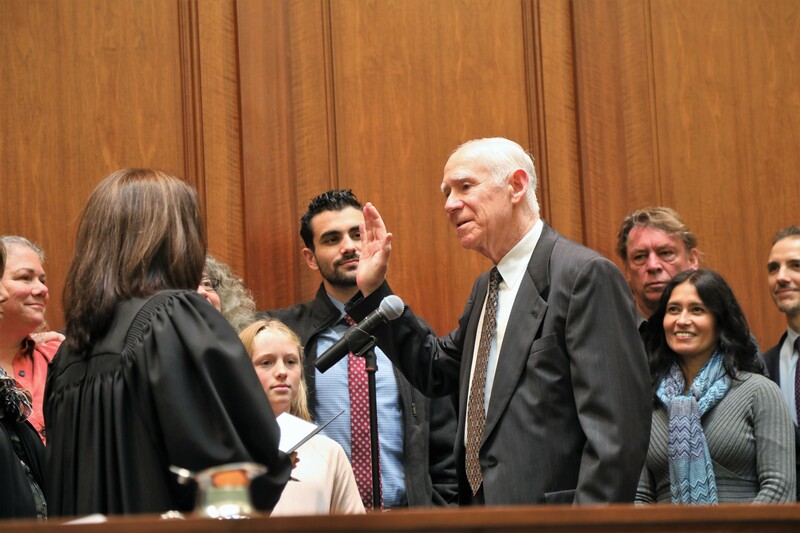 Justice Stuart R. Pollak would fill the vacancy created by the retirement of Presiding Justice Ignazio J. Ruvolo. 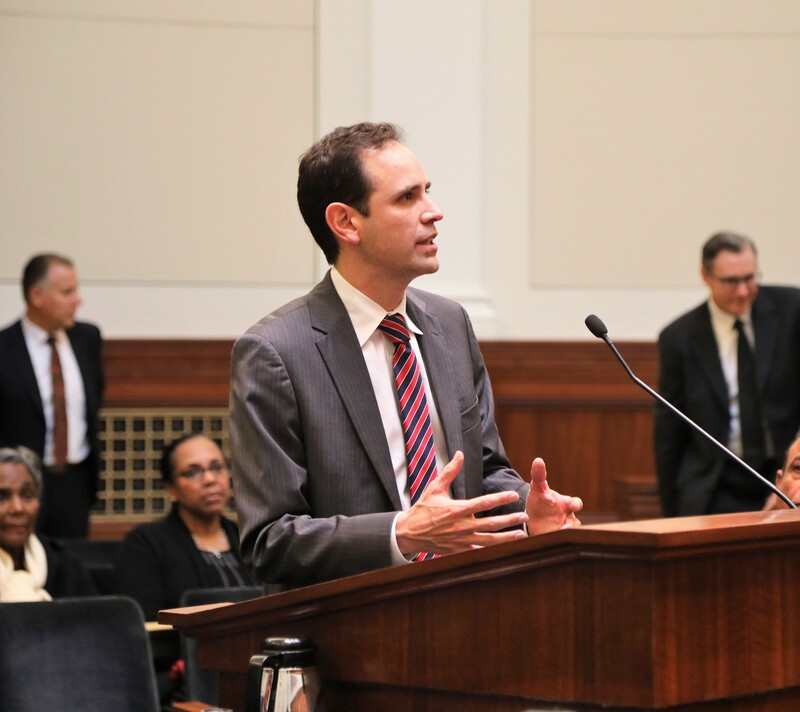 Pollak has served as an associate justice in Division Three of the First District Court of Appeal since 2002. He served as a judge at the San Francisco County Superior Court from 1982 to 2002 and held several positions at Howard, Rice, Nemerovski, Canady and Pollak from 1965 to 1982, including partner and associate. He served as an attorney at the U.S. Department of Justice from 1963 to 1966 and served as a law clerk for the Honorable Earl Warren, the Honorable Stanley Reed and the Honorable Harold Burton at the U.S. Supreme Court from 1962 to 1963. Pollak earned a Juris Doctor degree from Harvard Law School and a Bachelor of Arts degree from Stanford University. 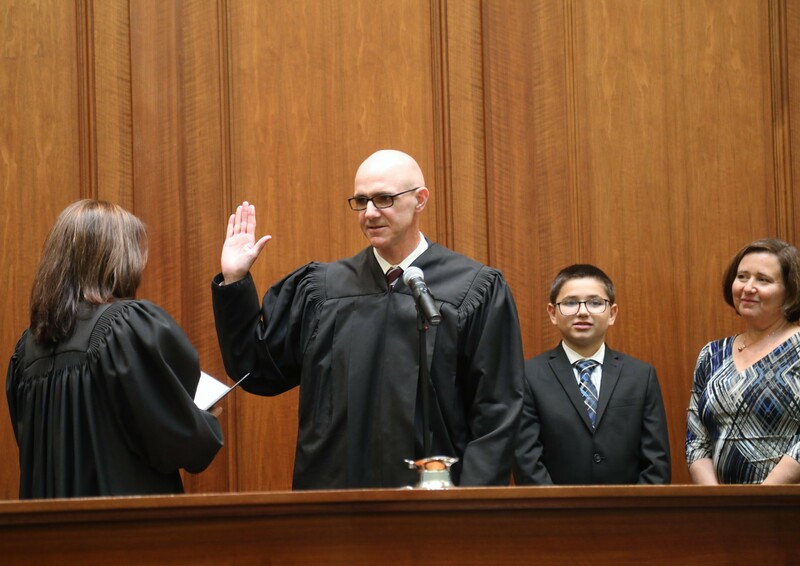 Gabriel P. Sanchez would fill the vacancy created by the retirement of Justice Robert L. Dondero effective October 31, 2018. If confirmed, he would be the first male Latino justice ever appointed to the First District Court of Appeal. Sanchez has served as a deputy legal affairs secretary in the Office of Governor Edmund G. Brown Jr. since 2012. He served as a deputy attorney general at the California Department of Justice, Office of the Attorney General from 2011 to 2012 and was an associate at Munger, Tolles and Olson LLP from 2006 to 2011. Sanchez served as a law clerk for the Honorable Richard A. Paez at the U.S. Court of Appeals, Ninth Circuit from 2005 to 2006. 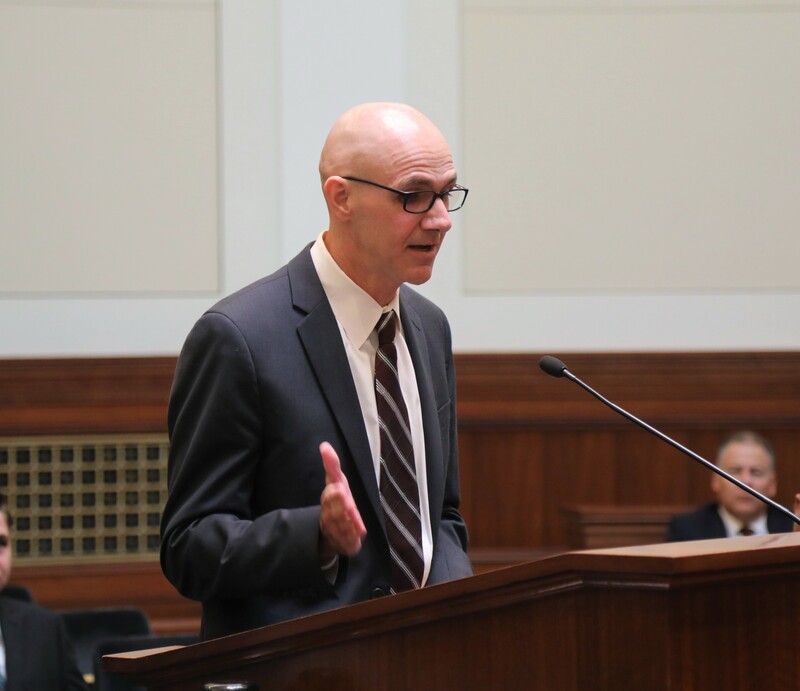 He earned a Juris Doctor degree from Yale Law School, a Master of Philosophy degree from the University of Cambridge and a Bachelor of Arts degree from Yale College. 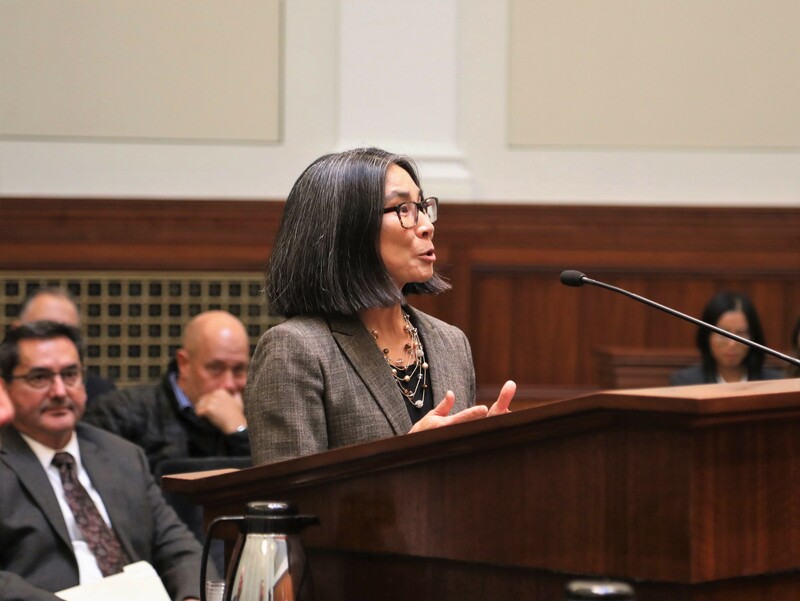 Carin T. Fujisaki would fill the vacancy created by the elevation of Justice Peter J. Siggins to presiding justice, Division Three of the First District Court of Appeal. 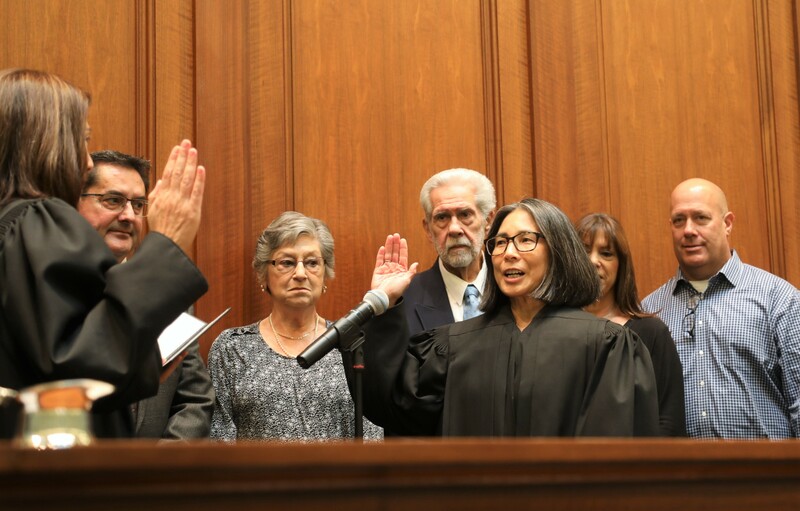 Fujisaki has served as principal attorney to the chief justice at the California Supreme Court since 2015, where she was a judicial staff attorney from 1991 to 2014 and a staff attorney from 1990 to 1991. She was an associate at Howard, Rice, Nemerovski, Canady, Robertson and Falk from 1986 to 1990 and a research attorney at the San Francisco County Superior Court from 1985 to 1986. Fujisaki earned a Juris Doctor degree from the University of California, Hastings College of the Law and a Bachelor of Arts degree from the University of California, Los Angeles. Peter A. Krause would fill the vacancy created by the retirement of Justice George W. Nicholson. 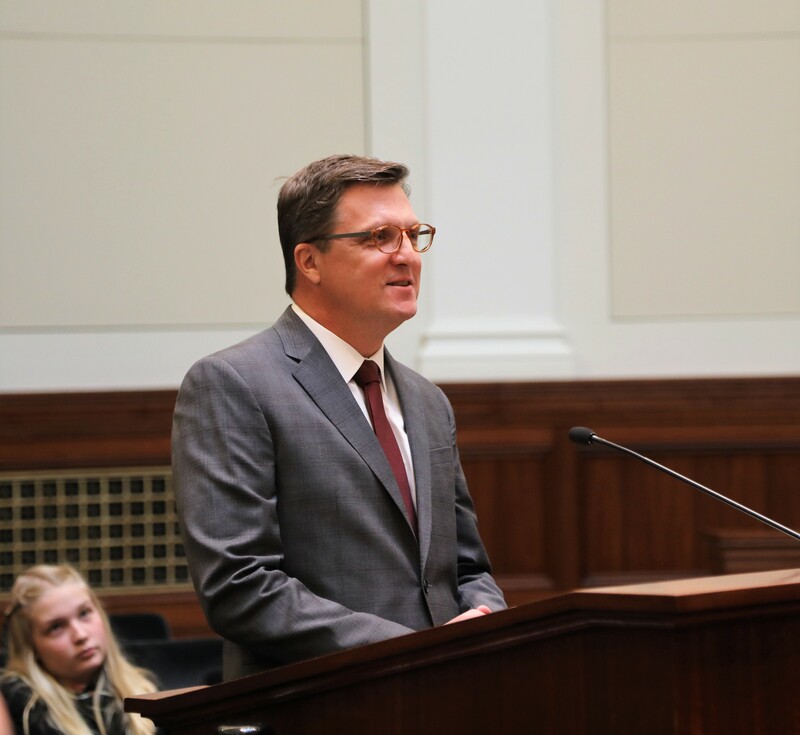 Krause has served as legal affairs secretary in the Office of Governor Edmund G. Brown Jr. since 2014, where he was chief deputy legal affairs secretary from 2013 to 2014. He served in several positions at the California Department of Justice, Office of the Attorney General from 2007 to 2013, including supervising deputy attorney general and deputy attorney general. Krause was an attorney at the Judicial Council of California, Office of the General Counsel from 2005 to 2007 and an associate at Sheppard, Mullin, Richter and Hampton from 1996 to 2005. He earned a Juris Doctor degree from Loyola Law School, Los Angeles and a Bachelor of Arts degree from the University of California, Berkeley. Frank J. Menetrez would fill the vacancy of a new position created on July 1, 2018. Menetrez has served as a judge at the Los Angeles County Superior Court since 2015. He served as an appellate judicial attorney at the Second District Court of Appeal from 2005 to 2015. He was an associate at Horvitz and Levy from 2004 to 2005 and at Sidley Austin from 2001 to 2004. Menetrez served as a law clerk for the Honorable A. Wallace Tashima at the U.S. Court of Appeals, Ninth Circuit from 2000 to 2001. He earned a Juris Doctor degree from the University of California, Los Angeles School of Law, Doctor of Philosophy and Master of Arts degrees from the University of California, Los Angeles and a Bachelor of Arts degree from Johns Hopkins University.